F1 is back, Codemasters has just released the latest iteration for its F1 franchise, F1 2017. Besides the usual track and car updates, F1 2017 features a massively expanded Career Mode, a new ’Championships’ game mode and enhanced mutliplayer options. Players can jump behind the wheel of 12 classic F1 cars in a host of different events and tracks. 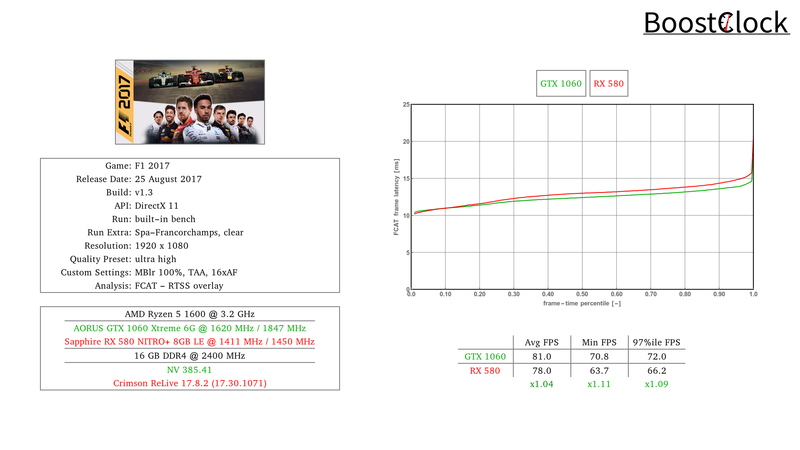 As our mainstream GPUs had little coverage recently we start with our mainstream line-up - both the GTX 1060 9 Gbps and the RX 580 completes a lap around Spa-Francorchamps. 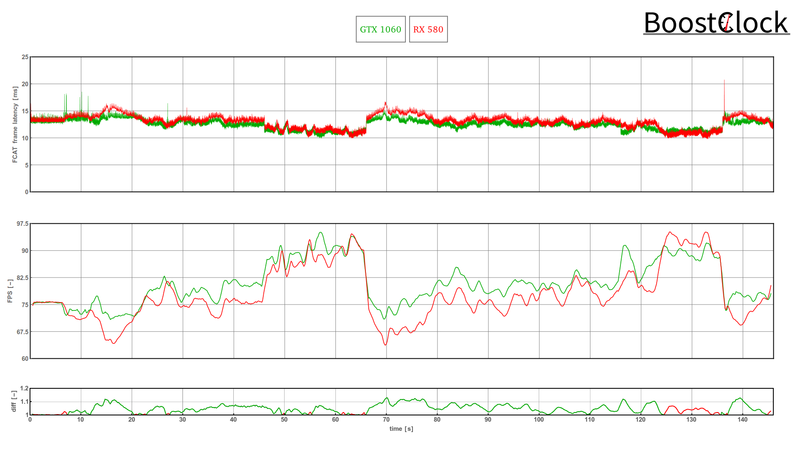 Game-ready drivers were used with both cards, with 1080p and ultra setting and TAA the FPS counter stayed above 60 FPS throughout the benchmark run with both cards. Traditionally, GCN-based GPUs outperform their NVIDIA counterparts in the F1 series, but this time around the GTX 1060 had the upper hand. In our future video we plan to analyse 1440p and 4K performance and how the AO method can mix things up. The default Ambient Occlusion implementation is NVIDIA's HBAO+. Stay tuned!